Sarah Mower, Oscar de la Renta (Assouline, 2nd ed. 2014) Photo: Peter Lindbergh. Editor: Grace Coddington. Image: my luscious life. 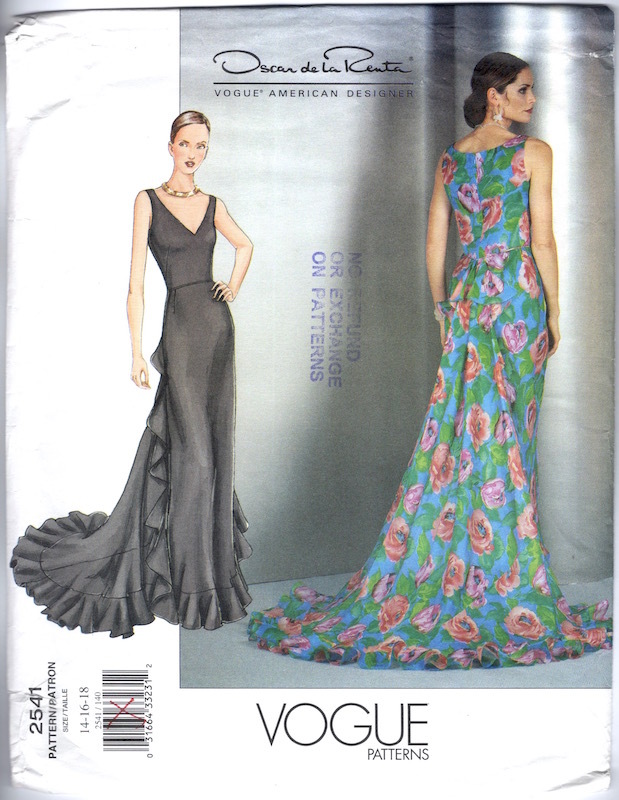 Vogue 2460 by Oscar de la Renta on the cover of Vogue Patterns, March/April 1990. (Patricia Underwood hat.) Photo: Otto Stupakoff. Image: eBay. 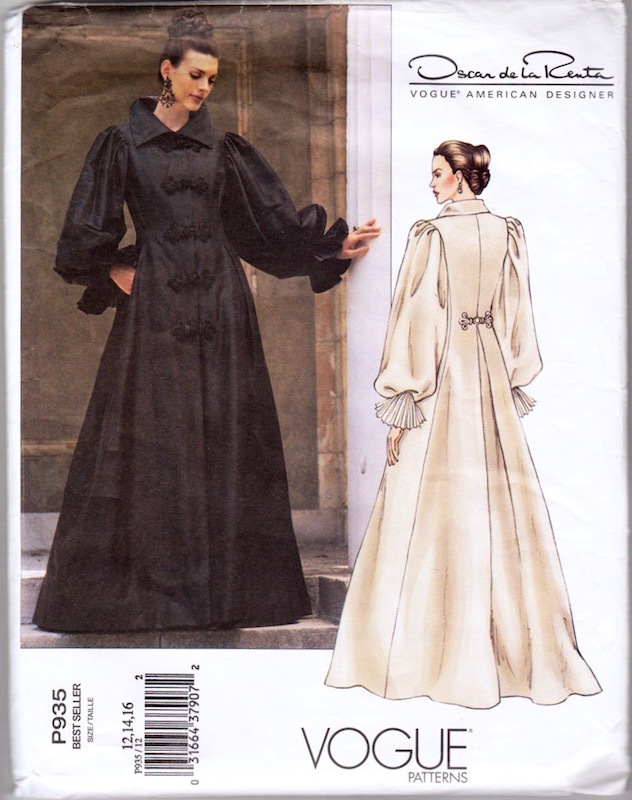 Vogue 2500 by Oscar de la Renta (1990) Image: Etsy. 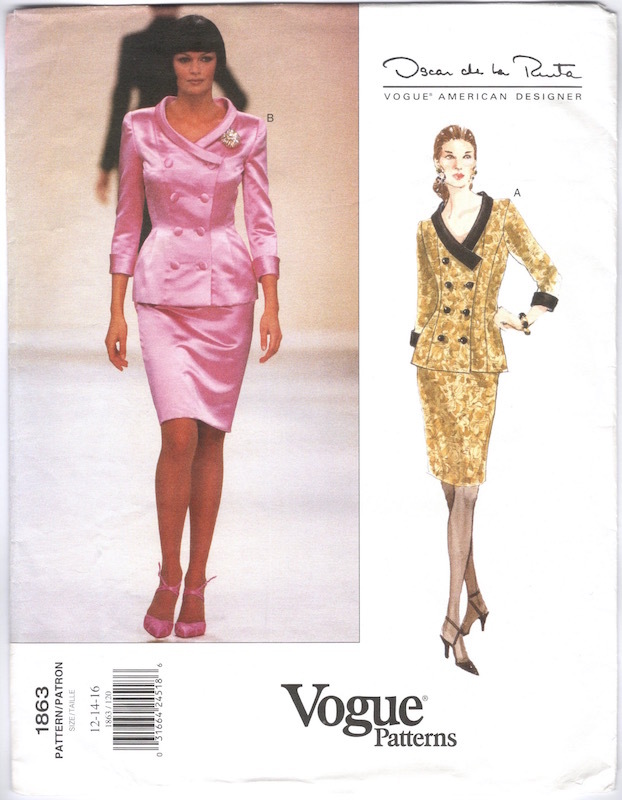 Oscar de la Renta on the cover of the Vogue Patterns catalogue, June 1990. Image: Karsten Moran for the New York Times. In 1992, de la Renta became the first American to take over a French couture house when he was appointed chief designer at Balmain. He had begun presenting his own collection in Paris the previous year. (See Suzy Menkes, “De la Renta Joins Balmain.”) The cover of the Assouline book pictured above shows Balmain haute couture; a similar tableau was created for the de Young retrospective. 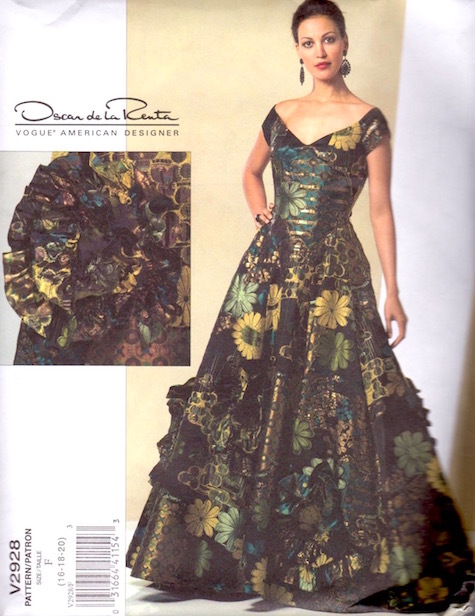 Vogue 1638 Oscar de la Renta (1995) Image: eBay. Vogue Patterns catalogue, October 1995. Image via Etsy. Stella Tennant in Oscar de la Renta, with Joaquín Cortés, Vogue, September 1996. Photo: Ellen von Unwerth. Editor: Grace Coddington. 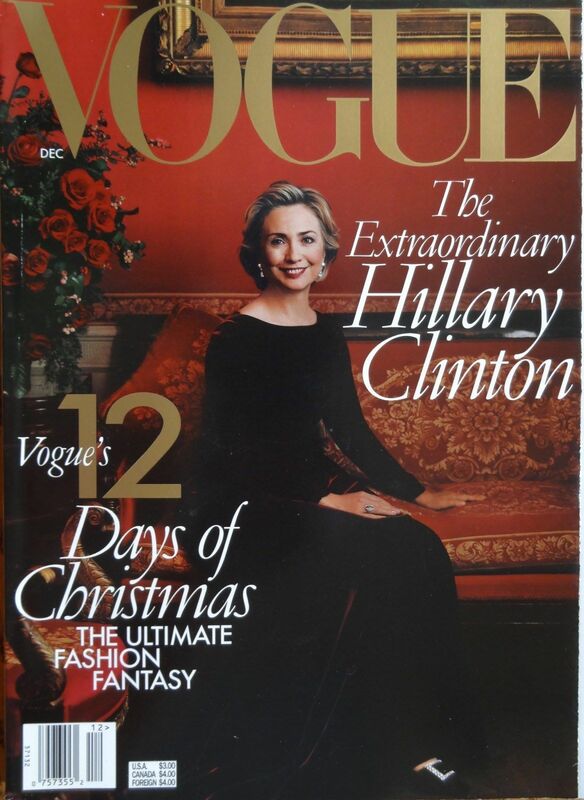 Hillary Clinton in custom Oscar de la Renta, Vogue, December 1998. Photo: Annie Leibovitz. Editor: Paul Cavaco. Image: eBay. Oscar de la Renta Spring/Summer 1998. Model: Kirsten Owen. Image: firstVIEW. Pierre Balmain haute couture by Oscar de la Renta, Vogue Paris, September 1999. Photo: Ruven Afanador. Image via The Fashion Spot. Oscar de la Renta Spring/Summer 2000. Model: Carmen Kass. Image: vogue.com. 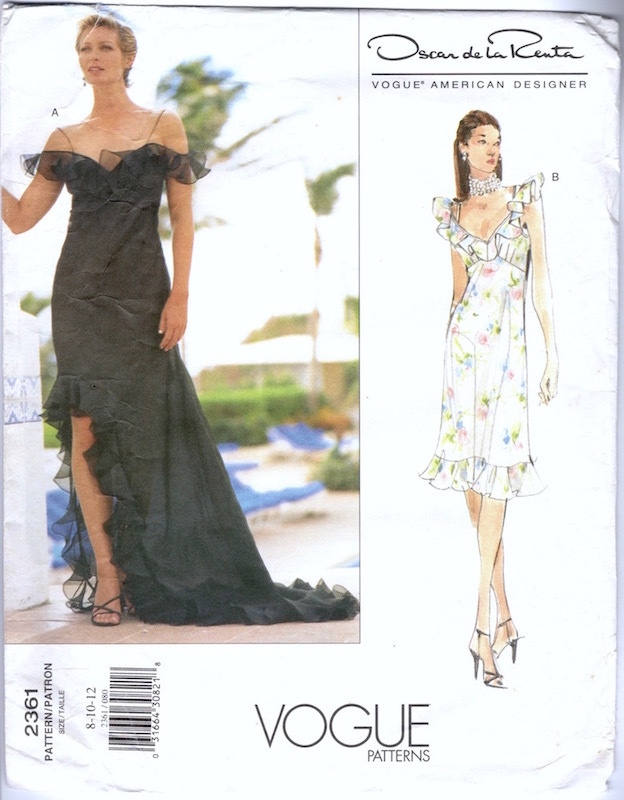 Vogue 2714 / P935 by Oscar de la Renta (2002) Image: Etsy. Oscar de la Renta Fall/Winter 2001. Model: Natalia Semanova. Image via vogue.com. Oscar de la Renta Spring/Summer 2005. Models: Caroline Ribeiro and Caroline Winberg. Image: vogue.com. Vogue 2928 by Oscar de la Renta (2006) Image: ecrater. Oscar de la Renta Fall/Winter 2005. Model: Nataliya Gotsii. Image: vogue.com. For more on the late designer, see Vogue’s retrospective. 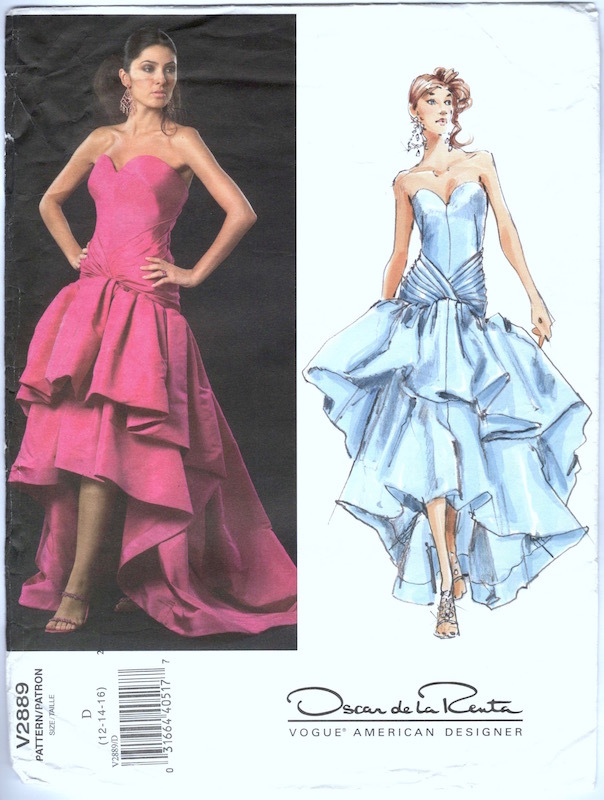 Have you made any Oscar de la Renta patterns? Kirsten Dunst in custom Oscar de la Renta, Vogue, September 2006. Photo: Annie Leibovitz. Editor: Grace Coddington. Image: vogue.com. 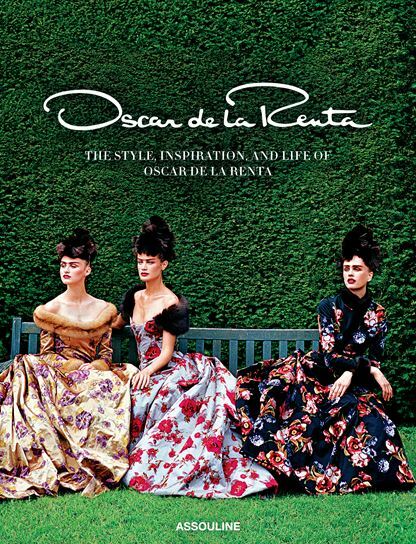 Unfortunately, I have never made anything Oscar de la Renta. I could have made the gorgeous tailored jacket in the 90s but my lifestyle did not warrant that. Same with the delicious ballgowns. I should have made these items anyway just for the heck of it. And just given them away…..
Real fantasy fodder there! Such beautiful gowns.